Airports Authority of India to build new Andhra Pradesh airport. The Airports Authority of India (AAI) has emerged successful in the bidding for the Greenfield international airport proposed at Bhogapuram in north Andhra region. By submitting financial bids, which were opened on Monday, both AAI and GMR were in the race to bag the project. After the bids were opened, it was found that while AAI offered 30.2 per cent of revenue share, GMR offered only 21.6 per cent. The swanky airport will come up at a cost of 2,800 crore. Scientists in the United Kingdom (UK) have developed the world’s smallest surgical robot called Versius. It was developed using low-cost technology used in mobile phones and space industries. 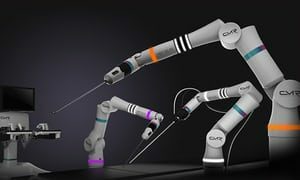 The robot can mimic human arm and can be used to carry out a wide range of surgical procedures. The first regional centre of the New Development Bank, set up by India and other BRICS nations, was officially opened in Johannesburg by South African President Jacob Zuma and the banks Indian head K V Kamath. The New Development Bank (NDB), formerly referred to as the BRICS Development Bank, is a multilateral development bank established by the BRICS Nations (Brazil, Russia, India, China and South Africa) with an initial authorised capital of the bank is USD 100 billion. The idea for setting up NDB was proposed by India at the 4th BRICS summit in 2012 held in New Delhi. The creation of a NDB was the main theme of the meeting. “Swasth Bachche Swasth Bharat” Programme launched by govt. The Union Ministry of Human Resource Development (HRD) Prakash Javadekar launched ‘Swasth Bachche, Swasth Bharat’ Programme. The programme is an initiative of Kendriya Vidyalaya Sangathan (KVS) to prepare a physical Health and Fitness Profile Card for more than 12 lakhs. 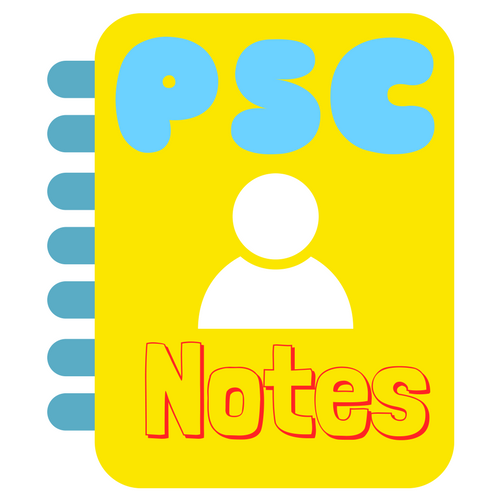 It aims to provide a comprehensive and inclusive report card for children covering all age groups and children of different abilities. Swasth Bachche, Swasth Bharat programme will provide a comprehensive and inclusive report card for children covering all age groups and children of different abilities. Making students, teachers and parents aware about the importance of good health and fitness and encouraging 60 minutes of play each day is an objective of the programme. Union Government launches digital police portal under CCTNS. The Union Ministry of Home Affairs Shri Rajnath Singh launched digital police portal under Crime and Criminal Tracking Network and Systems Project (CCTNS). The portal is a smart policing initiative of the Government to provide services to citizens and aid efficient police investigation. It is a portal of a platform for citizens to file online crime related complaints and also request for antecedent verification. 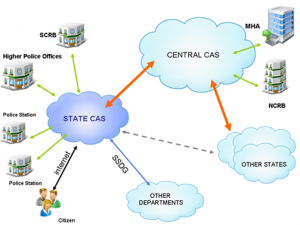 CCTNS aims to integrate all the data and records of crime into a Core Application Software (CAS), which is presently spreading across 29 states and 7 union territories of India. It will digitize data related to FIR registration, investigation and charge sheets in all police stations. Physical police verification for a passport will not be needed from next year as the Centre is planning to connect the procedure with the Crime and Criminal Tracking Network and Systems, CCTNS. Karnataka Government launches clouding seeding Project “Varshadhari”. Karnataka Government launched clouding seeding Project Varshadhariin Bengaluru under which an aircraft will spray chemicals to induce rainfall. It aims to condense small water particles by clouds (size less than 10 microns) to droplets of 50 microns, which can constitute rains. Cloud seeding (also known as weather modification technique) is an artificial way to induce moisture in the clouds so as to cause a rainfall. The cloud seeding project is an experimental project that will cover Bengaluru, Gadag and Yadgir districts of the state. 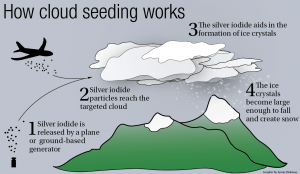 Cloud seeding is an artificial way of inducing moisture in the clouds to cause rainfall. It is the process of spreading either dry ice, or more commonly, silver iodide aerosols, into the upper part of clouds to try to stimulate the precipitation process and form rain. Telangana CM nominated for Agriculture Leadership Award 2017. Telangana Chief Minister Chandrashekhar Rao has been nominated for the Agriculture Leadership Award 2017 by the Indian Council of Food and Agriculture. 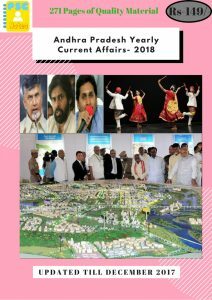 Telangana Government under Rao’s visionary leadership, launched a number of schemes that have created far reaching impact on the rural sector and the touched the lives of millions of farmers, said a statement. Agriculture Leadership Award were instituted in 2008 for recognising excellence and leadership role played by individuals and organizations towards the development of Indian agriculture and bringing about rural prosperity. The Award would be presented on September 5 during the 10th Global Agriculture Leadership Summit at Taj Palace, New Delhi.